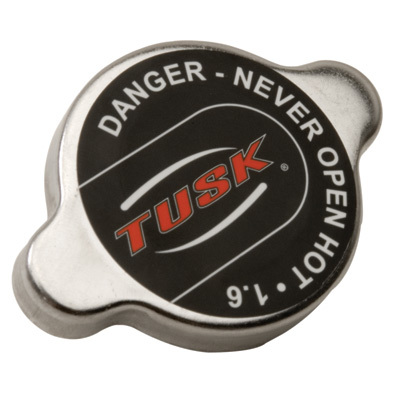 The Tusk High Pressure Radiator Cap is the simplest and most inexpensive way to reduce your motorcycle or ATV from boiling over. 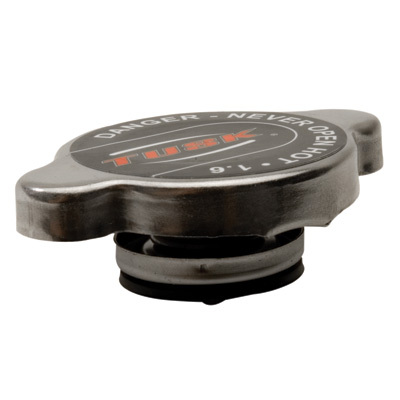 The Tusk High Pressure Radiator cap raises your cooling system’s maximum operating pressure and therefore raises the boiling point of your coolant. This is a perfect upgrade for most motorcycle and ATV radiators with stock 1.1 caps. Higher pressure radiator cap increases the boiling point of your coolant to reduce boil over problems on your motorcycle or ATV. Raises the boiling point by 25 degrees when going from a stock 1.1 kg/cm2 (15.7 psi) radiator cap to the Tusk 1.6 kg/cm2 (22.8 psi) radiator cap.